The “Villains” set had some inspirational characters on the side, I love that! First, the packaging is great! 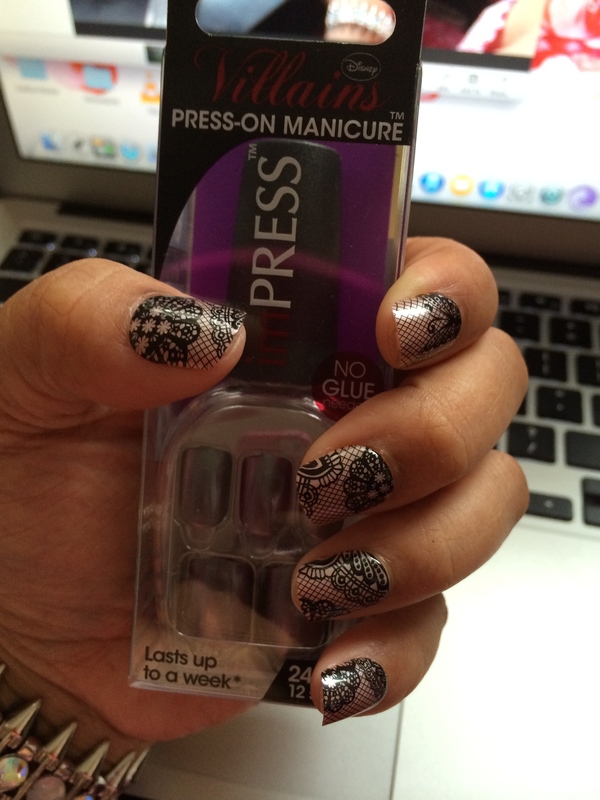 They are shaped in a nail polish bottle and the cap twists off just like a polish. It makes for great storage with the rest of my nail polishes on display in my studio. They come with 12 nail sizes and a total of 24 nails which is great in case I need to replace one, or if I choose to do another full set later on. 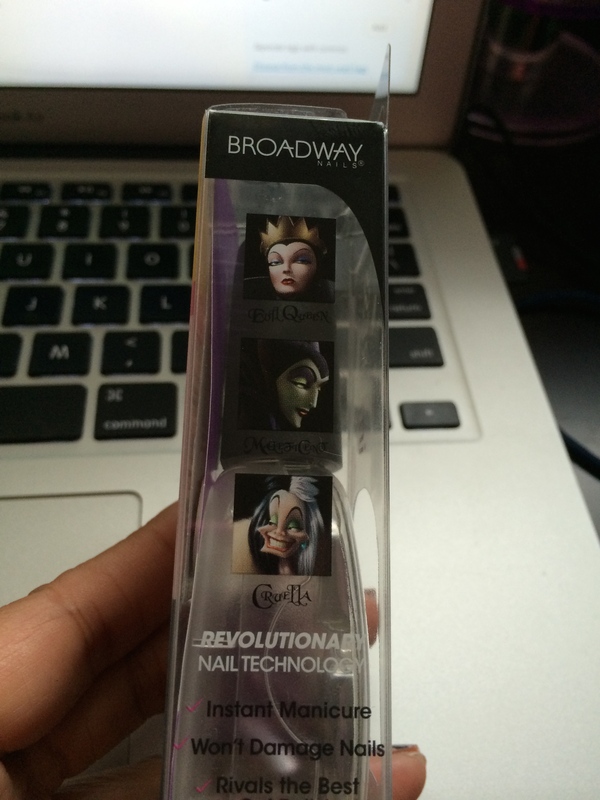 The instructions are easy, pick your size for your nail, peel and stick! The nails also came with a prep pad, which by the smell, seems to be an acetone type of remover to ensure a good clean bonding with the adhesive. The sizes I chose fit my nails well, however my natural nails tend to curve down. There is a little bit of space between the nail and the press-ons which kind of makes me concerned, however I will try them out for the week with normal wear and tear and see if they last. 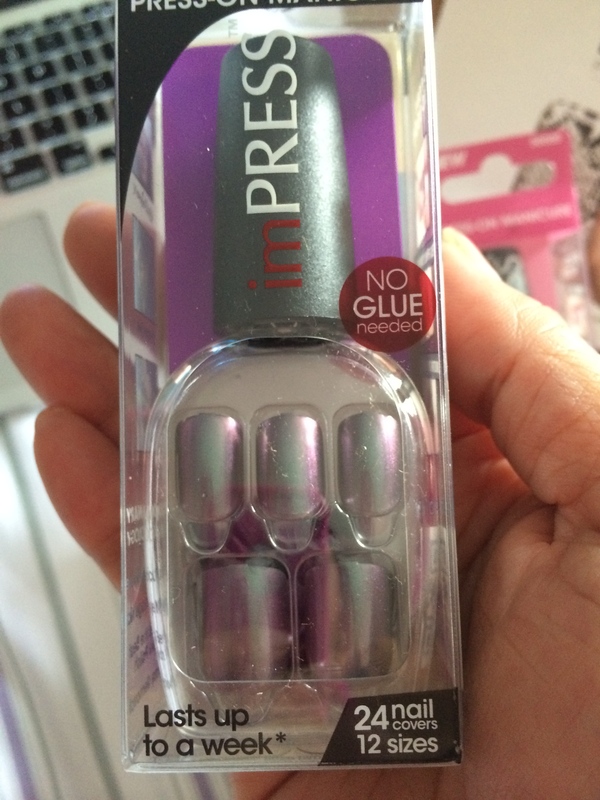 I do believe these are a good alternative to painting or salon nails, taking less than 20 minutes to apply and perfectly shaped. The pricing for these range from $8.99 to $10.99 for patterns and they are available at Walmart, Target, London Drugs, Loblaws, Jean Coutu, Katz and more. 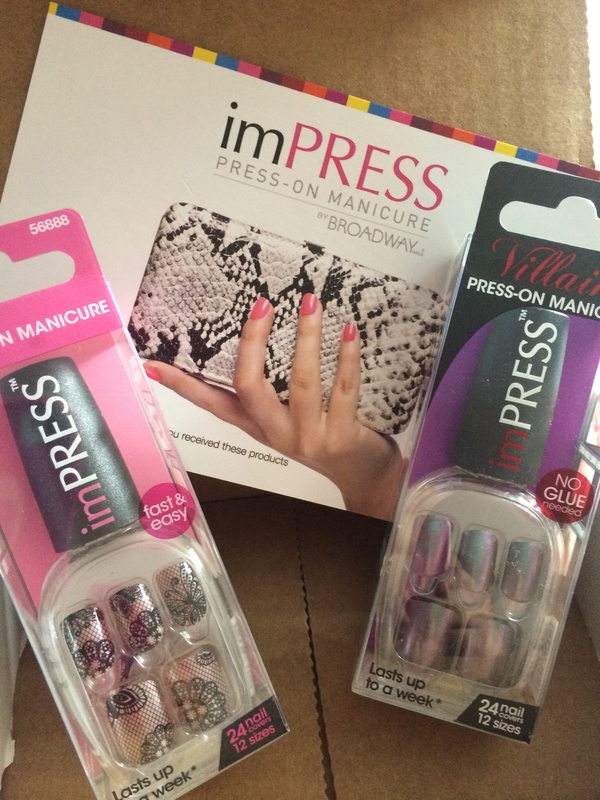 Thanks again to Influenster for sending these complimentary for testing purposes.